In the lead up to the Cairns Tropical Writing Festival (Sept 14-16 2014) I caught up with Diane Finlay, one of the driving forces behind it, to ask her just why a writing festival is so important to the building of the Far North Queensland Literary Community. 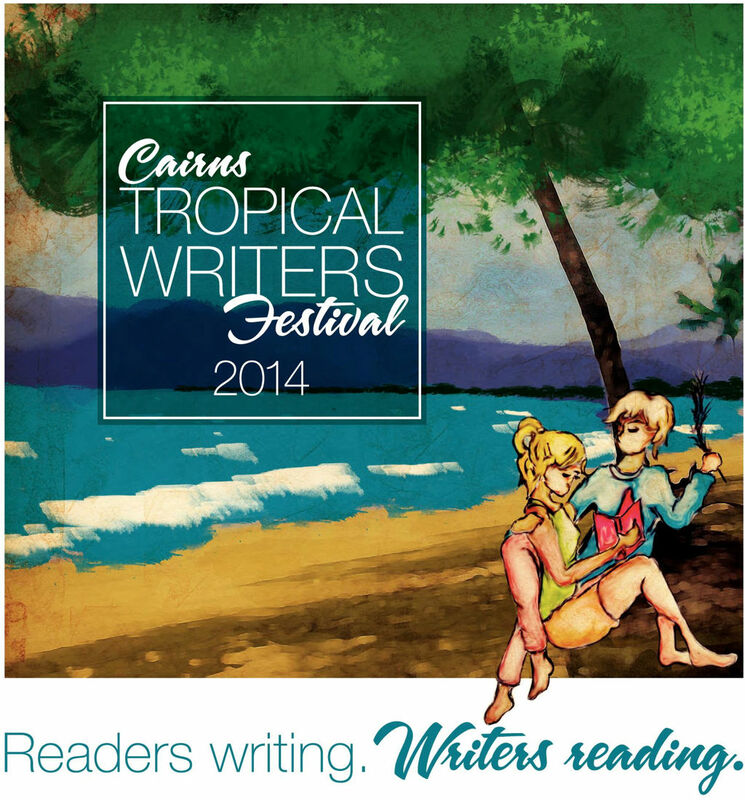 June: Why is a writing festival so important to Cairns/North Queensland? Diane: It’s not called Far North Queensland for nothing! We are along way from many things and for a lot of writers the cost of air travel, hotels and festival attendance simply make it to difficult to do. So bringing a festival to the region seemed like the most logical thing to do. Writing is often a lonely experience and even getting to a writers’ group can be quite a trek for some. BUT writers are willing to make the effort to travel to a writers’ festival if they can simply drive there. The festival offers valuable networking opportunities, workshops and for the more confident writers a chance to present in the Public Arena. June: How long has the festival been going ? June: What are you planning for the upcoming festival and who is involved in organising it and sponsoring it? Diane: The festival committee has everything in place for an amazing line up of both local and interstate talent with some of the presenters recognised internationally. As always the Public Arena forms the hub of the festival. This is put together by asking regional writers what they themselves would like to present and what talent they would like the committee to attract. In saying that who we want and who we get are two entirely different things! BUT even in that there are wonderful serendipities – who would have thought that our literary dinner speaker would be Geraldine Doogue? The Biggest Book Club has become an integral part of the festival – it is a wonderful way to capture the interest of readers. After all writers wouldn’t get very far without readers. We now have this event locked in on Sunday morning. 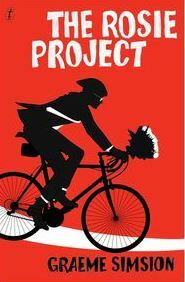 A great way to start the day – grab a coffee, sit back and enjoy the discussion/ dissection of three wonderful books – Heart of Darkness, Burial Rites and The Rosie Project.The Poets’ Picnic on Saturday lunchtime is sure to capture an audience. There will be poets, storytellers and open mic sessions and an opportunity to enjoy a picnic lunch in the gardens. 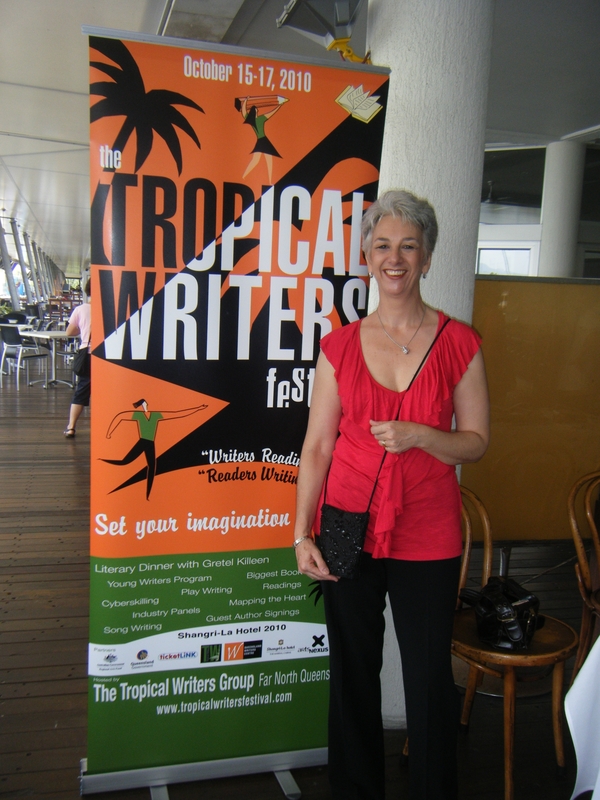 The festival is organised by a dedicated team of volunteers some from Tropical Writers Inc – the writers group who started this whole thing and others who are either connected with JCU or like myself heavily involved in the local writing community. Added to the mix for the first time is Melissa Robertson who has come on board as Events manager and Sonja Anderson as a late arrival to lend her skills as a communications specialist to widen the awareness net for this festival. We have an amazing line up of festival sponsors and partners – those who have either tipped some cash our way or have lent valuable in-kind support. Thala Beach Lodge, Rydges Tradewinds, Cairns Airport, Cairns Regional Council and Cairns libraries, JUTE, Tropical Writers Inc., JCU, ABC Open, TTNQ, Ramsay Health Care, BDO, Collins Booksellers, Blackbooks, Screen Queensland, Queensland Government, Cairns FM 89.1 and last but by no means least – because they have been with us from the very first fledgling festival – the wonderful QWC. June: What would make it easier to put on more festivals? Diane: Long term events funding and that is now up to us – we’ve proven the festival’s viabililty and we have an established audience and the big picture in moving forward is very clear in the heads of those involved we just have to commit it to paper and make it happen. June: What will help the festival survive? Diane: The willingness of the regional writers to support it – their ongoing enthusiasm and the fact there is a real need to have something like this happening in such an iconic tourist destination. Look what happened in Bali – surely we can do that here? June: How do you support regional writers? Diane: The festival supports the regional writers by bringing in workshop content. Whilst QWC does have its regional program that one small organisation has to cover a lot of ground year after year so the festival can help fill the gap. Also this year we have introduced “Snap up a Local” which is a book launch and book sales event designed especially to support the many talented writers who have published whether it be self published, partner published or mainstream published. We would hope to keep this as a feature in future festivals. 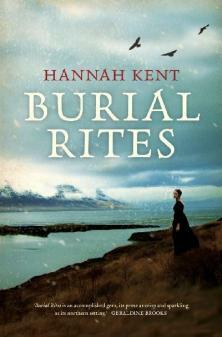 Any tourists attracted to the festival will be blown away by the huge writing talent this region produces. wish i could come! and i’m glad to have found your blog sis! It sounds like it will be a wonderful event–kudos to Diane and the others making it happen. Great interview, June. Yes, it is a great event, sad I won’t be able to catch up with the writers up there this year, but look forward to making a return visit to a wonderful region that inspires some amazing writing and art. Literary events the world over are so cool for writers and readers connecting and sharing.